Quick Links: Backup camera question Got a couple questions Wireless charger Front brake pads Light bars and license plates Mevotech MS86849 Sway Bar Links any good? Pics of your sickk front ends!!! Discussion in '2nd Gen. Tacomas (2005-2015)' started by Nuckolls214, Oct 14, 2010. 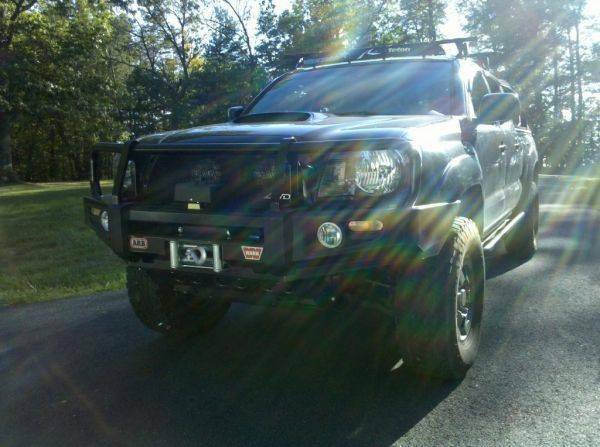 Post pics of your headlights grilles bumpers etc! i want some ideas for my taco! yeah but my coworker has it on his bike all year.